Agreed. They're all sorts of borked. Poor, hilarious looking carnivores. I'd give them a hug, but it'd be awkward for both parties involved. 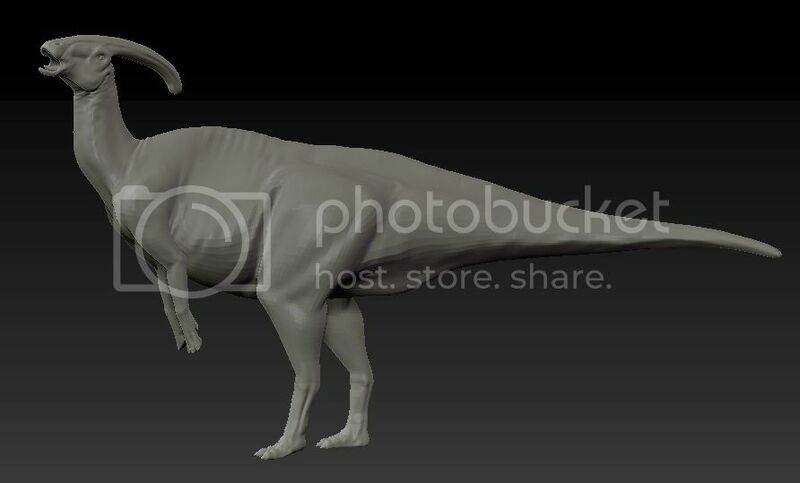 As an update, TyrantQueen volunteered to test out a printing of the 1/40 running Carnotaurus, so that order is being processed by Shapeways. Pretty sure it'll go through without a hitch (knock on wood), so once it's delivered and it looks like everything went smoothly, I'll have that up for sale. In the meantime, how about more Para shots? I meant to ask, is this being viewed as somehow new or different? 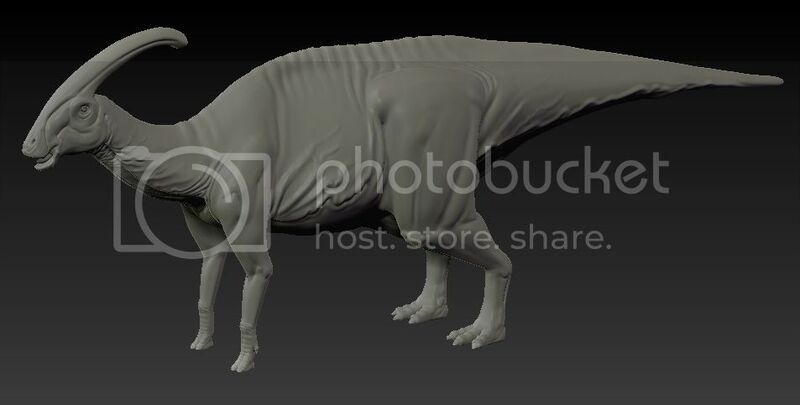 I had always understood the Carnotaurus reconstructions were incorrect based on their hands. Not really sure myself, but I thought this was how he had reconstructed the original skeletal . Silly or not, I had understood it had the benefit of being accurate. I found the Pope comment in poor taste honestly, we already had our introduction to religion compared to dinosaurs and it did go over well. I wouldn't compare the two comments. You can refer to the other thread (unless its been deleted) for an explanation. I think this is just cute. For the record, I am a believing Catholic, so its OK. I'll amend the post slightly by deleting the first name ..
Man it's going to take awhile to get my head around that arm position. I think the Para is looking good..the hard part will be getting it into a new and different position no one has tried yet. A resting/laying down position? Would be great or a full out running pose. It is not an entirely "new" concept. The original Carnotaurus paper has already raised this issue. 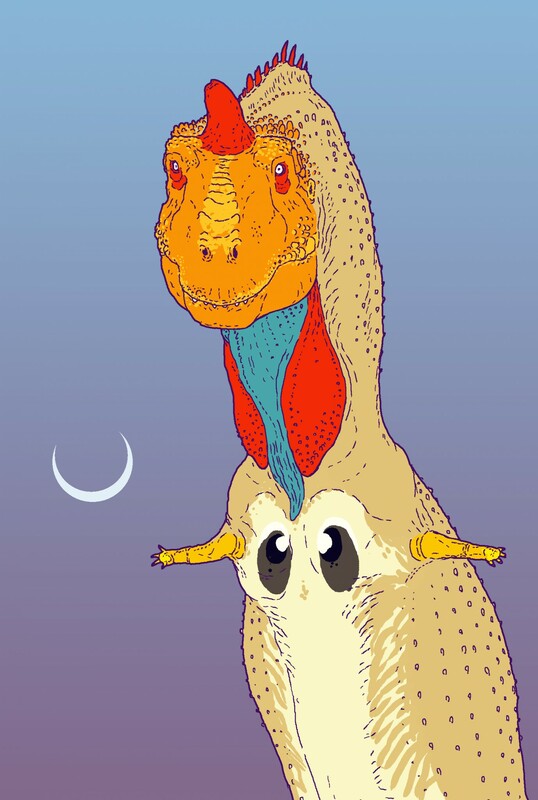 Bonaparte (1990) writes "... We believe that the strong modification in the forelimbs of Carnotaurus, ...total lack of torsion of the humerus and the parallel position of the radius and ulna, resulted in a complete change of the original position of the hand. If this is true, the palmar side moved to a dorsal position, with digit I assuming a lateral position and digit IV an internal position..." though the hand seems to be back to front to the proper configuration as indicated in figure 38 from his paper where the palm is facing to the back. But the main point to remember is that the first digit faces to the side and the last digit faces to the centre and the lower arm bones are immobile and do not overlap. "I'm a bit vague on it. I think the hand's incomplete, and, from what I recall, it's a little too unknown to make a firm determination." Based on the above statement perhaps Paul's diagrams might not be totally reliable (as you can see the arm is never updated; hence his idea on the subject. Unless it is totally correct which I doubt). 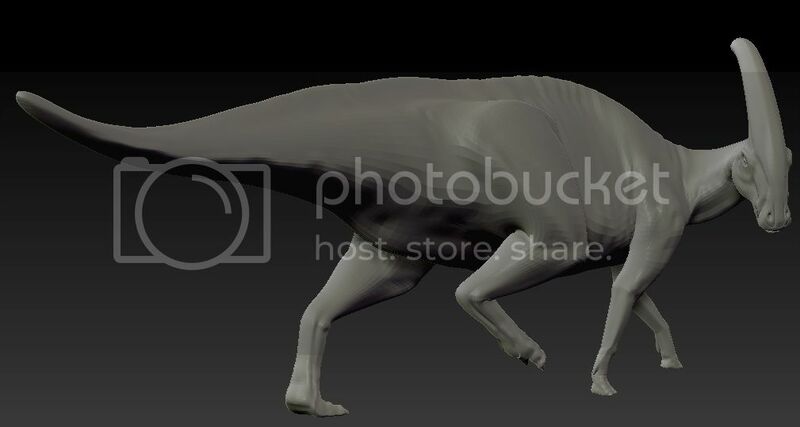 Also his reconstruction of Carnotaurus arms looks like he's just taken Bonaparte's diagram (figure 34G) and trace it off or something; this might not be such a big issue if all the arm elements are drawn on its side but they weren't. You can cross reference this on figure 38 also from the same paper which depicts the lower arm in its "proper" articulation. I think this is the "more" proper articulation because the lower arm elements (radius and ulna) on Bonaparte's also agrees with the photos in Senter & Parrish's (2006) paper. The main difference between the two papers is the direction of the palm. As to Hartman's (2012) reconstruction (which you can find in figure 2), sure he has rotated the radius and ulna which is almost the same as Bonaparte's and Senter's finding but somehow it looks like he kept the hand elements in the same position as in Paul (more or less). But is it really physically possible that rotating the lower arms without making adjustment to the hands? I have started on a small diagram (figure 3) on this which shows these elements in its normal articulation (according to the papers). I've also added a slight rotation on the upper right arm (humerus) to show a bit more of the hand when view from the side. But the digits are always overlap when view from the side (you can only rotated the humerus so far before dislocation happens). I was going to draw up a fleshed out one but since I've found the abelisaur picture so I'll stop here (drawing is never my forte and I don't really like to draw...). One more interesting point is that the fingers are likely to be non-functional; none of the hand elements have well formed "joint" surfaces (which makes identification difficult). Maybe some of the hand elements belongs to the hand or wrist while others could be finger bones. Also keep in mind that the elbow is immobile as well. Thank you very much for your research again Wings, the images there are a big help. I'm a more visual person especially with it comes to terms with which I have little experience. These will help me out creating my Carnotaurus and I'm sure they will help Gorgonzola as well. 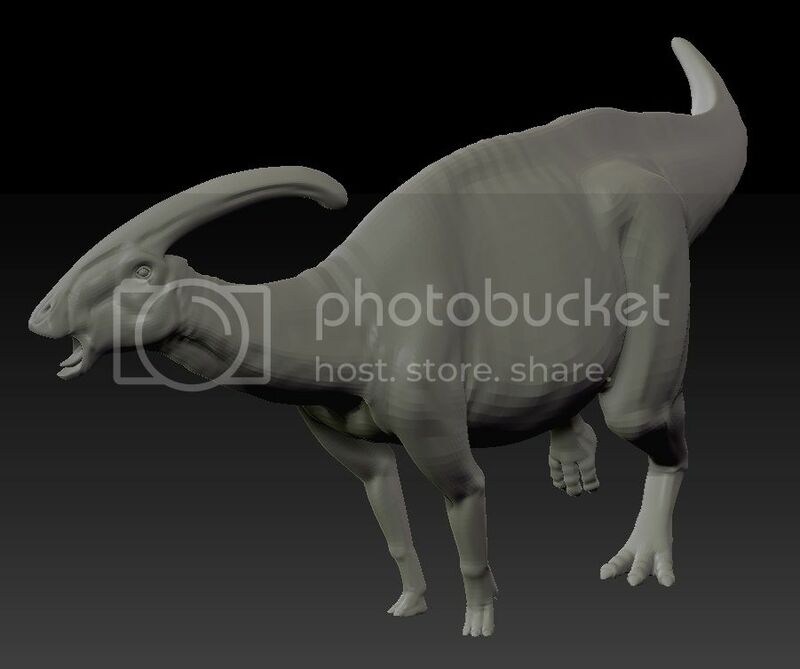 I'm not sure whether we have many literatures on Parasaurolophus juvenile materials to make any meaningful comparison yet (http://img547.imageshack.us/img547/7899/parax.png, not too sure about the skull of the animal from the colour photo, probably reconstructed), so I think the best we can do now would be working off juvenile animals from other hadrosaurs since they all seem to have very similar body ratio, so hopefully the result wouldn't be too far off from the actual animal. I have put together a diagram of some of these materials (http://img708.imageshack.us/img708/6506/examplesu.png). I'm glad to help and hopefully it's clear enough for everyone. I know to some people this restoration looks "silly" but it is how it is. Personal preference becomes meaningless against direct evidence in reconstruction. To build an animal based on preference when you have solid evidence pointing otherwise, your animal is just an imaginary animal. Thanks Wings! I was wondering more about sub-adults and how far off they would be compared to an adult. Would they look like smaller adults, or would there still be a decent amount of growth left in their facial structure/ size girth. 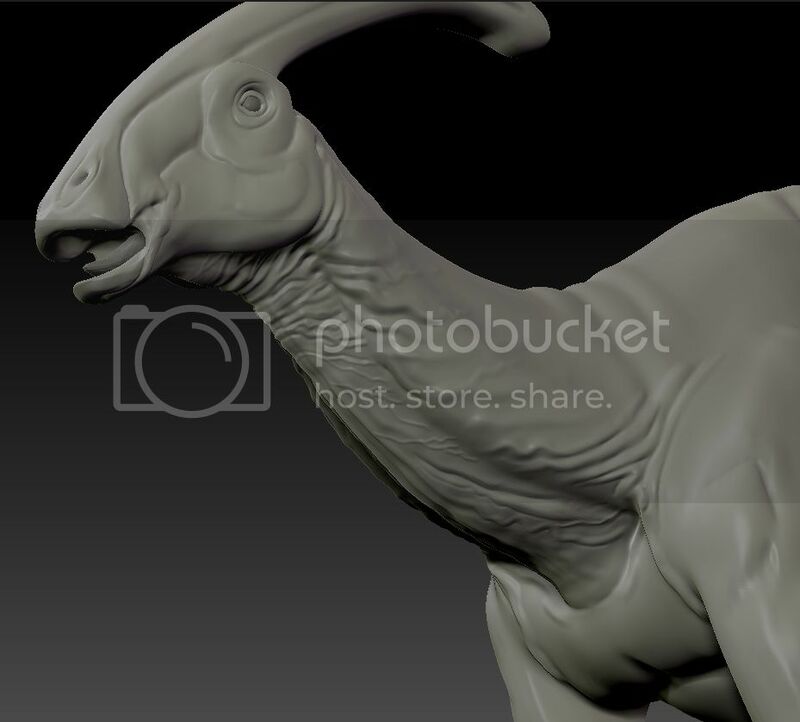 Judging from how different the hatchlings look compared to the adult Lambeosaurus it seems like there's a decent amount of change that goes on, I'm just curious at to when they finish up most of their development save for size and just start looking like smaller adults. So, how about some pose previews? Two so far, though I'm fiddling about with a handful more. A walk pose, and a hooting pose. These are both first passes, so besides the general tweak and polishing that would come to the pose in the end to fine tune some stuff, I can switch these about too. Planning on doing a resting/sleeping pose, preening/scratching pose, maybe a getting up/half crouch pose? I'm basically just pushing/pulling the rig about until I see something neat then extrapolate on it. EDIT: Before I forget, I also rotated the forelegs so the feet reflected the stuff that Wings had shared with me. Thank you very much! I love the first one Very unique, I've never seen any other Para model like this. 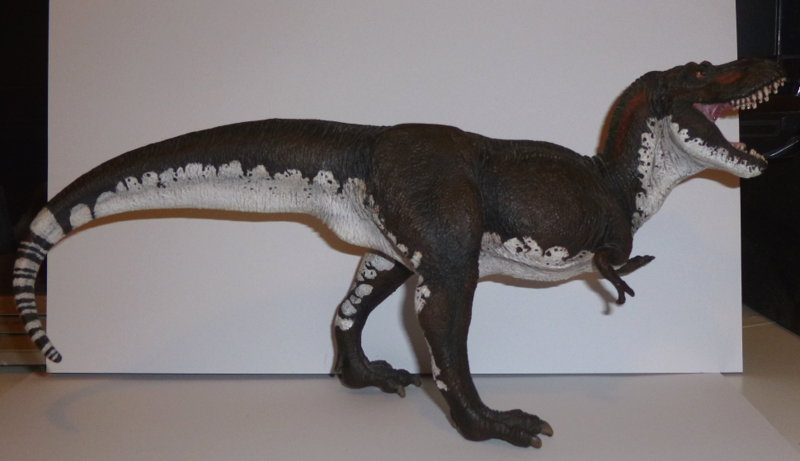 Dinonikes' para has a similar pose. I just happened to notice 'cause it's sitting right here on my bookshelf in front of me. It is a cool pose. Oh, right you are. I still like Gorgon's one better, no offense to Dinonikes. Also, this is off topic, but why did you name yourself after cheese, Gorgonzola? Mostly because no one, and I mean no one would ever think to give themselves an internet handle based off an italian cheese. It's made keeping a consistent forum handle across a few different sites incredibly easy, lol. I did find one time when I tried to register my name that someone had already snatched it up, and I could not for the life of me figure out if I had in the past without remembering it, or if someone came upon the same hare-brained scheme I did. I do like the calling pose myself even though I have Malcolm's / Dinonikes and MB-CG's versions doing it..it can still work. The one on the bottom is also a good interesting pose..kind of aggressive. Something you don't see much in hadrosaurs. It would be even cooler to have a pair honking at each other - maybe one a little older, more scarred, with a broken crest, the other younger and smoother, but more muscular, something like that! That could be cool..make more characters sorta out of them. Radman, I swear to you I comped up this pose before you posted - I was actually planning on a challenger hooter after I did the first one, since I imagined maybe it's two bulls hooting at each other, one with a coupled female and the other a younger buck wanting to get his shot. So here's a few more that I had comped up - 2nd hooter, preener, and just a walker with his head drooped low. I've started to look at horses and some birds for inspiration, since ultimately I'd like to have several of these be nice little herd dynamics stuff - disinterested Paras, some yelling at each other because that's what families do, some tending to daily grooming, etc. I've started to tend to the idea of maybe making a pair that is grooming each other, or just one grooming another. I thought that'd be a nice little touch. For those curious, the actual model is more or less done, unless I can think of another detail pass to do on it that wouldn't be a waste of time at the 1/72 scale I'd like to put these out in initially. This low poly model that's been for the pose previews is just so the computer doesn't break a sweat moving him about. Lot's of activity in that first new one..really cool. Could be seen maybe to be marking it's territory. And hey, look! The scratching/grooming one looks familiar too! Hah! I need to start looking around at other people's paleoart so I make sure I don't step on too many toes. Sure is hard to get some variety at times in these poses though. I wanted him originally to be chewing on one of his back feet, but as I was posing it didn't seem like it was physically possible...hmm, maybe I should take another whack at it. I wish I could do a bit more with the tails, but considering how stiff that whole area is except for the end it doesn't seem quite feasible. Oh well.